On slopes, and in valleys where rainfall concentrates, groves of evergreen coast live oaks are common. These evergreen oaks provide food (acorns) and shelter for numerous species of wildlife. Deeper soiled areas in the Santa Monica Mountains support the deciduous valley oak. A widely dispersed tree in the area is the California black walnut. Other trees include the big-coned Douglas fir and the California bay laurel, which gives our canyon its name. 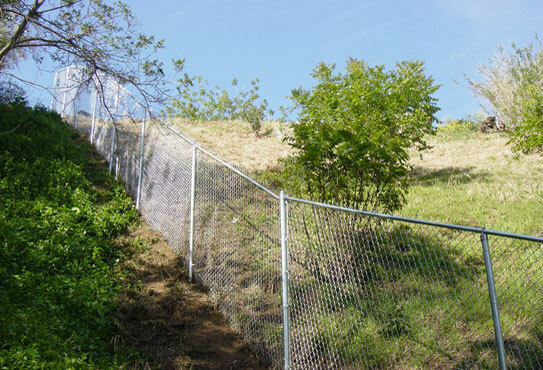 Oaks, which are somewhat protected by three separate city laws, are under attack from developers and the replacement of vegetation with non-native species. 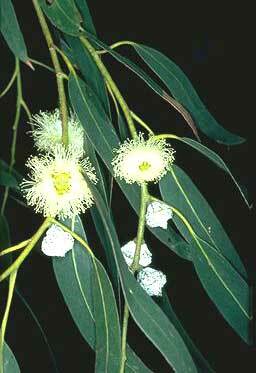 The worst is the blue gum eucalypus. 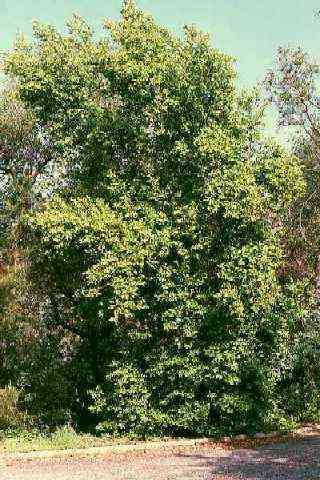 Called "America's largest weed", over 100 of the world's 600 species of eucalyptus grow here in California. 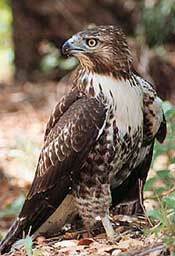 According to the Audubon, "None is native. They were imported from Australia during the second half of the 19th century. "Wonder trees," the eucs were called, because they shot up in coastal scrub and vast redwood clearcuts." 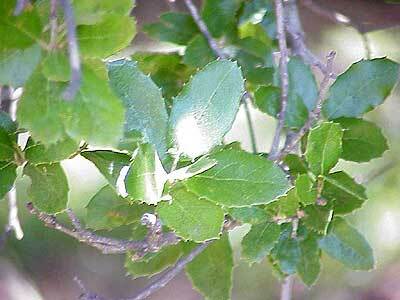 For help in identification, the leaves of a coast live oak and those of a blue gum eucalyptus. Predators and prey: Coyote, mule deer and mountain lion. 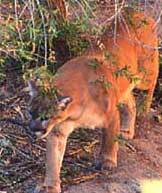 According to a Franklin Canyon Ranger, there are only a few mountain lions left in the Santa Monica Mountains. There is at least one confirmed lion living in our area. 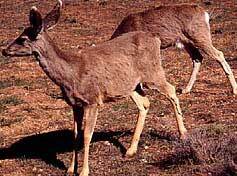 The most common medium and large-sized mammals in the area are coyotes, mule deer, bobcats, raccoons, possum, and skunks. Just away from the urban edge, other predators, such as grey fox, mountain lion, American badger, long-tailed weasel, and ringtailed cat, occupy various niches. The ecosystem’s top predator, the mountain lion, is present everywhere except the fragmented eastern end of the Santa Monica Mountains that bisects the Los Angeles metropolitan area. This includes Laurel Canyon. Because of their fear of humans, however, they are rarely seen. There were black bears in the Santa Monica Mountains, but they were killed off long ago by settlers. The abundance of seed produced by the Mediterranean plant communities supports numerous prey species, such as rabbits, squirrels, rats, mice, and other rodent species. Seven species of hawks, eight species of owls, peregrine falcons, golden easgles, northern harriers, American kestrels, and white-tailed kite share in this bounty of prey. Laurel Canyon is also part of the Pacific Flyway. As a result, the resident Southern California bird species often share company with neo-tropical migrants and other unique species, such as Canadian geese and green parrots. Because of this transient population of birds, residents should NOT set up bird feeders as it will delay migrations and create unrealistic dependencies for food. 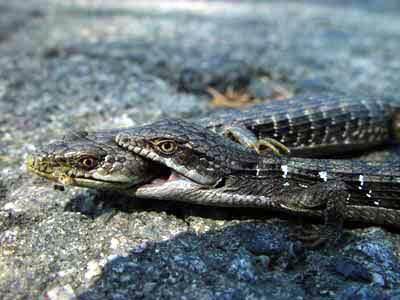 A red tail hawk and a pair of California alligator lizards. Photo: Clark Baker. As we are located on the Pacific Flyway, there are hundreds of birds that make an annual pilgramage through our canyon. Here's a non-exhaustive list complied by neighbor, Maria Gritsch. The "M" stands for migrator; most of the migrators arrive during April and are around through late July.